The Beast's jet engine uses a stainless steel afterburner. After a number of races, the afterburner becomes brittle from extreme heat expansion and contraction and must be replaced. 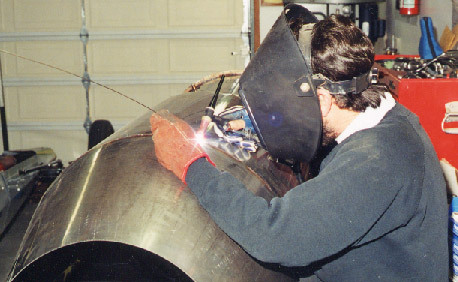 Jeff Atamian is shown here in the midst of constructing a new afterburner.